Operating rooms are critical financial centers for hospital systems, with surgical care representing about a third of all health care spending. However, not all of the costs are appropriate or necessary, as there are sometimes significant inefficiencies in how operating rooms are utilized. Recent innovations utilizing patient-centered data, systems principles from manufacturing industries, and enhanced communication processes have made significant improvements in improving operating room efficiency. By focusing on improving communication, standardizing processes, and embracing a learning health system with innovations, significant improvements in operating room efficiency can be seen to improve outcomes and costs for the health system and patient. Daniel J. Lee, James Ding, and Thomas J. Guzzo each declare no potential conflicts of interest. NQF-Endorsed Measures for Surgical Procedures, 2015–2017. Department of Health and Human Services. National Quality Forum. 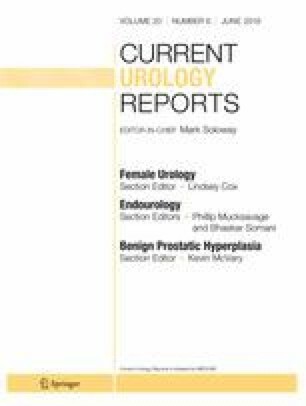 Accessed on January 3, 2019. https://www.qualityforum.org/Publications/2017/04/Surgery_2015-2017_Final_Report.aspx. McDermott KW (IBM Watson Health), Freeman WJ (AHRQ), Elixhauser A (AHRQ). Overview of Operating Room Procedures During Inpatient Stays in U.S. Hospitals, 2014. HCUP Statistical Brief #233. December 2017. Agency for Healthcare Research and Quality, Rockville, MD. www.hcupus.ahrq.gov/reports/statbriefs/sb233-Operating-Room-Procedures-United-States-2014.pdf. The Health Literacy of America’s Adults. National Assessment of Adult Literacy. U.S. Department of Education. https://nces.ed.gov/pubs2006/2006483.pdf. Accessed 3/15/2017.